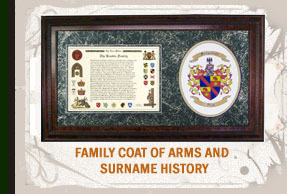 The machine embroidery design patterns as well as the hand embroidery that The Tree Maker offers for each family coat of arms and crest has a unique style as each blazon of arms calls for different heraldic symbols. 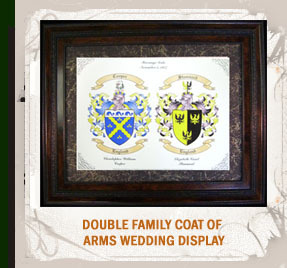 The Tree Maker has gone to great lengths to help our genealogy friends find custom embroidery work from both machine and hand worked designs to display their family coat of arms. 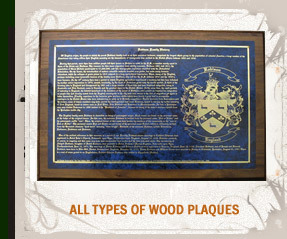 The embroidery pattern for every coat of arms cannot always be embroidered as some blazon of arms are very complicated. 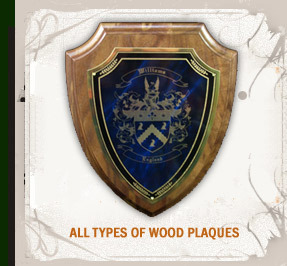 We will let each customer whom orders a hand or machine embroidery design pattern for their coat of arms know if their blazon of arms is too complicated and has too many symbols to be clearly shown.